Confiscating the Dead Sea Scrolls? As I was recovering from last night’s revelry with a large mug of very black coffee, I noticed in this morning’s Globe & Mail that Jordan is officially asking Canada to seize the Dead Sea Scrolls. Eight of the 2000-year-old scrolls, including fragments containing “The Song of Moses” from Deuteronomy, are on exhibit at the Royal Ontario Museum in Toronto until Sunday, January 3rd. The exhibit in question, “Dead Sea Scrolls: Words that Changed the World,” was a major coup for the Royal Ontario Museum. 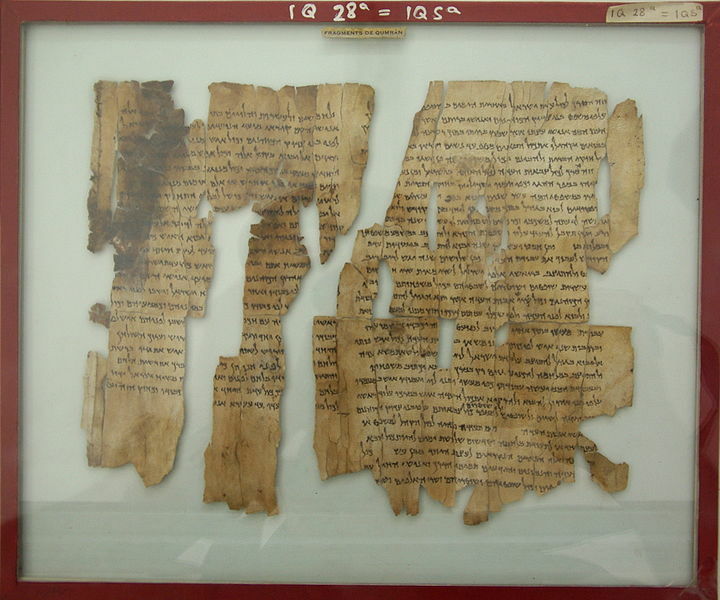 The Dead Sea scrolls are extremely fragile, so the Israel Antiquities Authority has been reluctant to allow them to travel. As a result, the government of Jordan has had to wait patiently for this opportunity to press its claims to the scrolls in a big way on the international stage. The history of these scrolls is complicated. The first were discovered in 1947 by a Bedouin herder, Mohammed Ed Dhib, while searching for a stray goat in a cave overlooking the Dead Sea. Seven of these scrolls came to the Israeli government. But over the following seven years, Jordanian scholars supervised additional recovery operations on land that Jordan occupied west of the Jordan River. These excavations produced thousands of other fragments of the scrolls, which were sent to the Palestinian museum in east Jerusalem. Now here’s the nub of Jordan’s request to Canadian authorities. During the Six Day War in 1967, the Israeli government took the scrolls from the Palestinian Museum, and occupied East Jerusalem. Jordan is now asking Canada to abide by the 1954 Hague Convention for the Protection of Cultural Property in the Event of Armed Conflict. As a signatory to this important international convention, Canada is obliged to “take into its custody cultural property imported into its territory either directly or indirectly from any occupied territory.” In other words, Jordan is asking Canada to honor its international obligation, and confiscate the scrolls until the ownership issue can be resolved. I am personally sympathetic to Jordan’s claim. I recognize that the scrolls constitute an important part of Jewish heritage, but it looks to me as if Jordan was the victim of cultural looting. The Israeli government should not have taken the scrolls from the Palestinian museum in east Jerusalem after the Six Day War. This kind of “spoils of war” thinking is inherently wrongheaded and unethical. No curator or scholar should indulge in it. Moreover, I find Canada’s position in this very disappointing. What’s the point of signing an international convention if you don’t honor it when the chips are down?